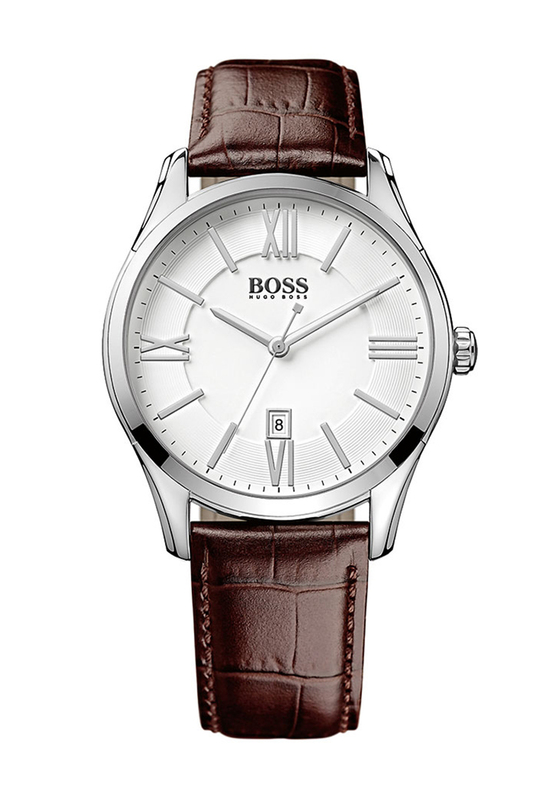 Hugo Boss presents this timeless watch which would be a charming choice to add to any outfit. 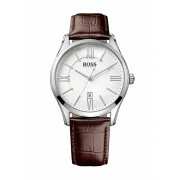 Featuring a brown leather strap which is embossed with a crocodile print and a round stainless steel bezel. The white face has Roman numeral time markers and a date window.